With the opioid epidemic in America reaching unprecedented levels, people desperate for prescription painkillers have resorted to a number of methods for securing drugs beyond treatment parameters. While all of these methods entail questionable issues of their own, one particular approach has far-reaching implications. The practice of doctor shopping, and its cost to society, is an example of how the opioid crisis and drug overprescription create problems across the entire spectrum of public health. Innovations in Clinical Neuroscience describes doctor shopping as “a phenomenon of many themes.” In its simplest form, doctor shopping is the process of one person seeing many treatment providers. This is not an illegitimate practice in and of itself (although it may yet be an inadvisable one); where the topic gets contentious is when a patient sees multiple doctors to unlawfully obtain prescription medications, especially when these medications are classified as controlled substances because of their addictive potential.1 Due to the prevalence of this form of doctor shopping, the legal issues surrounding the practice, and the implications on healthcare and public health, this has become the primary definition of doctor shopping. There are a number of reasons why patients could engage in doctor shopping, some related to mental health conditions (such as substance abuse or addiction), while others may be due to the persistence of symptoms or a dissatisfaction with the first doctor (and/or medical opinion). How common is doctor shopping? To ensure due diligence and accountability when it comes to the prescription of controlled substances, more than 20 states have created online databases that compile prescription histories for patients, and doctors are required to check the databases to track what drugs their patients have received, as well as whether other physicians have noted signs of abuse among those patients. This also allows doctors to see whether the prescribing history of another physician (or a healthcare practitioner authorized to prescribe controlled substances) suggests complicity in a doctor shopping scheme. FindLaw cautioned that a database to cut down on doctor shopping (as well as laws against the practice) is a small step in the huge fight against the opioid epidemic, but there is reason to be optimistic: Anti-fraud statutes concerning the illegal procurement of prescription medication can make accessing such drugs far more difficult than it used to be. Under pressure to do something in the wake of tens of thousands of people overdosing and dying on opioids (many of them prescribed), different states have vowed to communicate on ways to fight back. In 2014, New Jersey, Delaware, and New York agreed to share information on how their doctors prescribed controlled medication. Governors across New England, where the region has seen some of the highest rates of prescription abuse in the country, have agreed to pool their data. Another barrier to implementation is that even when doctors are required and able to look at their databases, they are directed to use their discretion if they suspect that a patient is addicted, doctor shopping, or otherwise misusing their prescription medication. But Van Ingram, Kentucky’s Director of Drug Control Policy, points out that identifying the signs of addiction is not always straightforward; doctors, pressed for time and fearing career-ending lawsuits, might want to err on the side of caution and not accuse patients of such practices. Patients, meanwhile, may be doctor shopping for reasons not related to drug addiction; for example, they may simply be looking for a second opinion after a distressing diagnosis. Ingram calling the program a “no brainer” is a step up from the term that was used to describe the status quo of patients who would frequently doctor shop to get their desired mix of opioid painkillers: “the cocktail,” consisting of Xanax and Soma. Kentucky’s prescription drug monitoring program director, David Hopkins, explains that combining the two medications produces a high that is similar to that caused by heroin and, whether users are aware of it or not, just as lethal. However, since the passage of state law that required doctors to check the database, the number of people who received “the cocktail” has dropped by 30 percent. Overall, the number of people attempting to engage in general doctor shopping plunged by 52 percent. “We cracked down on that big time,” said Hopkins. One way this happens is when the database alerts doctors when a single patient receives medications from multiple sources where the chemical content of the medications is equal to, or more, than 100 milligrams of morphine per day. To assist doctors, a calculator was added to the system, so doctors could do the math easily and more quickly. Hopkins told The Pew Charitable Trusts that when doctors raised concerns about the implementation of the database, the state responded by hearing them out and adding some “common sense exceptions” wherever possible. For example, doctors (or any healthcare provider empowered to prescribe medications) do not have to consult the database in an emergency or to prescribe medications to patients who are in hospice care, long-term care, or receiving treatment for cancer. 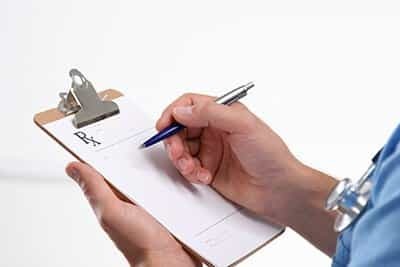 In the event that a patient was prescribed a painkiller by a colleague within the same practice, and the patient needs a refill or a different pain medication, the doctor can skip checking the database. In the event that a doctor suspects an irregularity with a patients’ prescription history, the doctor can look in the database to find out if any other physicians in the state are addressing the medical needs (as they relate to pain) of similar patients, and the physicians can consult an individual patient’s drug history to determine the likelihood of being doctor shopped. Such a consultation was forbidden under Kentucky’s previous privacy laws. The standard practice when a doctor discovers a patient is engaging in doctor shopping is for the physician to dismiss the patient and refuse treatment. However, the Kentucky Physicians Health Foundation encourages doctors to be more compassionate. The head of the foundation argues that while prescribers are perfectly within their rights to withhold medication, there are other options, such as referring diversionary patients to treatment. The important thing, says the foundation, is that doctors save lives, one way or another. Even beyond Kentucky, the data provided by prescription drug monitoring programs is of “enormous value” to officials and legislators whose job it is to determine resources for prevention and treatment, said SAMHSA. The federal data of the past could have been out of date by as much as six years by the time the information was processed. The drug databases of today can provide real time information, allowing policymakers to stay abreast of current trends, and, ideally, with doctor shopping and other diversionary practices. For all the good it has done, Kentucky’s system is still a work in progress, but many in the state’s medical and health community are optimistic about the difference it can make in the future. David Hopkins, the Prescription Drug Monitoring Program Director in Kentucky, told SAMHSA that the database has alerted doctors to the importance of “more review of the potentially addicting substances their patients are receiving,” and for some cases, the database might convince doctors to prescribe fewer controlled substances to begin with. Encouraging as though those figures are, doctors caution that doctor shopping is a symptom of the larger opioid crisis running across America. Dr. Stephen W. Patrick, a pediatrician at Vanderbilt University’s School of Medicine, who treats newborns born with withdrawal symptoms because their mothers abused opioids during pregnancy, told Fox News that prescription monitoring databases alone will not “help us get out of the opioid epidemic.” Such measures will indeed reduce the cost of addictive and diversionary behavior to society, but the larger problems still exist. 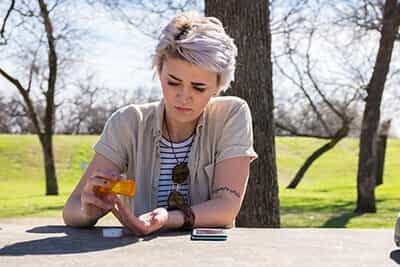 Past research has found that prescription monitoring databases can prevent 10 deaths related to opioid abuse every day, but public health experts fear that this will simply drive addicted patients to other sources of drugs (or even other drugs like heroin). However, the Addictive Behaviors study did not find evidence that the effectiveness of drug monitoring databases contributed to an increase in heroin use. Nonetheless, even the lead author of the study expressed caution that “people might begin to substitute,” because of how reducing the rate of doctor shopping would inevitably limit what was once a robust supply of prescription medication. What needs to happen, said Dr. Patrick at Vanderbilt University, is for the opioid epidemic itself to be brought under control. Using a drug database to cut down on doctor shopping, and reduce the cost to society that the practice entails, is the first step in a very long journey. “Doctor Shopping.” (November-December 2012.) Innovations in Clinical Neuroscience. Accessed February 21, 2017. “Physicians’ Perceptions of Doctor Shopping in West Virginia.” (2010). West Virginia Medical Journal. Accessed February 21, 2017. “Patterns of Abuse among Unintentional Pharmaceutical Overdose Fatalities.” (December 2008). JAMA. Accessed February 21, 2017. “The Mental Health of Doctor-shoppers: Experience from a Patient-led Fee-for-service Primary Care Setting.” (June 2011). Journal of Affective Disorders. Accessed February 21, 2017. “Taking the Physician out of “Physician Shopping”: A Case Series of Clinical Problems Associated with Internet Purchases of Medication.” (August 2004). Mayo Clinic Proceedings. Accessed February 21, 2017. “Doctor Shopping.” (June 1995). Australian Family Physician. Accessed February 21, 2017. “Prescription Shopping of Addictive Drugs in Norway.” (March 2009). Journal of the Norwegian Medical Association. Accessed February 21, 2017. 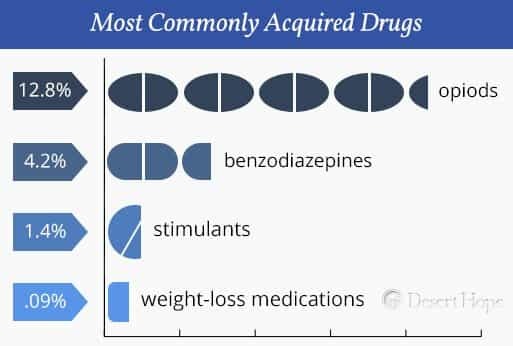 “Profiling Multiple Provider Prescribing of Opioids, Benzodiazepines, Stimulants, and Anorectics.” (November 2010). Drug and Alcohol Dependence. Accessed February 21, 2017. “Estimating the Prevalence of Opioid Diversion by “Doctor Shoppers” in the United States.” (July 2013). PLOS One. Accessed February 22, 2017. “Is Doctor Shopping Illegal?” (December 2016). FindLaw. Accessed February 21, 2017. “Doctor Shopping Laws.” (September 2012). Centers for Disease Control and Prevention. Accessed February 21, 2017. “Mayfield Dentist Arrested on Felony Drug Charges.” (February 2017). West Kentucky Star. Accessed February 24, 2016. “Governor Signs Bill Targeting ‘Doctor-Shopping’ for Opioids.” (September 2016). FindLaw. Accessed February 21, 2017. “States Require Opioid Prescribers to Check for ‘Doctor Shopping’.” (May 2016). Pew Charitable Trust. Accessed February 21, 2017. “The Ecology of Prescription Opioid Abuse in the USA: Geographic Variation in Patients’ Use of Multiple Prescribers (“Doctor Shopping”).” (August 2014). Pharmacoepidemiology and Drug Safety. Accessed February 22, 2017. “How Prescription Drug Abusers Are Cheating the System by Shopping across State Lines.” (December 2014). Washington Post. Accessed February 22, 2017. “Prescription Drug Abuse: Executive Summary of a Policy Position Paper from the American College of Physicians.” (February 2014). Annals of Internal Medicine. Accessed February 22, 2017. “What Physicians Can Do to Stop the Opioid Overdose Epidemic.” (July 2015). AMA Wire. Accessed February 22, 2017. “‘Doctor Shopping’ Database Concerns Privacy Advocates.” (February 2012). CBS-DFW. Accessed February 22, 2017. “Missouri Drug Monitoring Program Stalls in the Senate Once Again.” (May 2016.) Kansas City Star. Accessed February 22, 2017. “Missouri’s Second-Largest County Joins Fight against Opioid Abuse.” (January 2017). CBS St. Louis. Accessed February 22, 2017. “2015 Annual Review of Prescription Monitoring Programs.” (September 2015). National Alliance for Model State Drug Laws. Accessed February 22, 2017. “Kentucky House Bill 1 Impact Evaluation.” (March 2015). Institute for Pharmaceutical Outcomes and Policy. Accessed February 22, 2017. “Opana Brings Deadly Threat.” (July 2015). BG Daily News. Accessed February 22, 2017. “Prescription Drug Monitoring Programs: Critical Elements of Effective State Legislation.” (March 2016). Shatterproof. Accessed February 22, 2017. “Most Primary Care Physicians Are Aware of Prescription Drug Monitoring Programs, but Many Find the Data Difficult to Access.” (March 2015). Health Affairs. Accessed February 23, 2017. “Kentucky Joins Program to Share Prescription Drug Dispensing Data with Other States.” (March 2012). Kentucky.gov. Accessed February 23, 2017. “Kentucky Meets the Gold Standard for Prescription Drug Monitoring Programs.” (April 2013). Substance Abuse and Mental Health Services Administration. Accessed February 23, 2017. “Prescription Drug Monitoring Programs, Nonmedical Use of Prescription Drugs, and Heroin Use: Evidence from the National Survey of Drug Use and Health.” (January 2017). Addictive Behaviors. Accessed February 23, 2017. “Prescription-drug Monitoring Cuts Doctor Shopping for Painkillers.” (February 2017). Fox News. Accessed February 23, 2017.